Style and beauty have become inseparable parts of modern life. We are glad to offer you outstanding design and functionality in our responsive templates. Please take a look at live demo to see all the features by your own eyes. 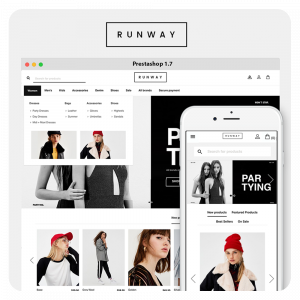 New Runway Fashion Prestashop 1.7 Theme to make your webstore look even better. Functional theme with laconic design will enhance the beauty of your products. Try it, use it, enjoy it! Any retailer running web stores on Prestashop 1.7 finds a new fashion theme rather stunning. Combining contemporary design, functionality, and simplicity, fashion theme gets your online shop prominent while the new built-in module called columns configurator compiles with customers’ requests. 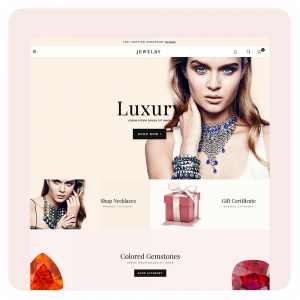 Amazing responsive Luxury Jewelry Prestashop 1.6 Theme will fit every jewelry business owner and will make website look glorious. 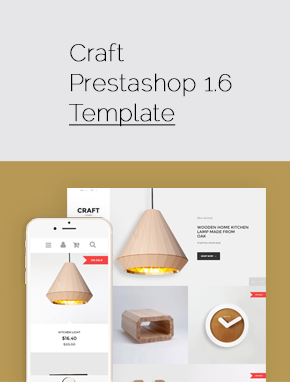 Represent your products in the best way and enjoy the flexibility of the current theme. Perfect design plus rich functionality - that is the best combination for successful e-commerce. Some people think that sunglasses are just an element that helps to protect eyes from straight and bright sun rays. But we can argue with that. Nowadays it’s one of the most popular fashion accessory that became indispensable part of look and style. So you will rarely meet the person who doesn’t use sunglasses at present time. What do you expect from the online store that sells fashion clothes and accessories? I think that is a full and clear perception of the product. When a customer is 100% sure that the certain item perfectly suits him, he has no doubts whether to buy it. THESHOP is the right choice of a theme for stores selling apparel and accessories. The theme's main strength is its powerful UI. On home page a customer can see Static banners and follow one to open a category. The theme is well adapted for mobile devices. 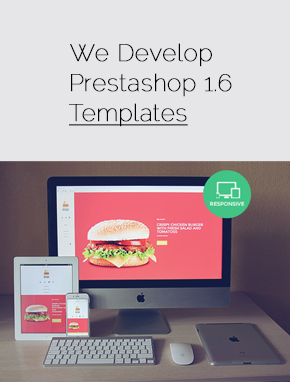 + Bonus PSD included! + Extended User Guide by the link below. Custom shoes, mass-produced shoes, simple shoes, any shoes. 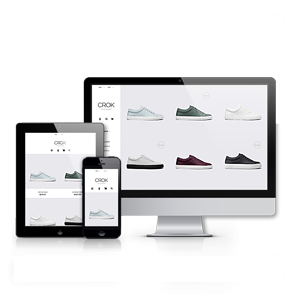 Put all of your shoes online with our new Shoes Store template. Or fill it with any other products – it looks good enough to contain any kind of stuff. Apparel and accessories stores – Rejoice! Our newest template yet is made specifically for you! Responsive, good-looking and functional. Easy to install and configure. 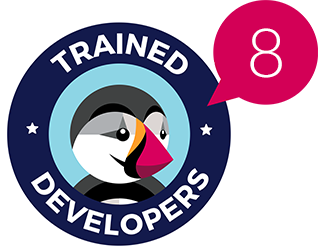 Though don’t ignore it with other store content – it’ll make any product look good! Mainly in pink and grey, our new Underwear Prestashop 1.6 Responsive Theme brings all essentials for an online lingerie store. Perfect colors combination and beautiful graphics with slideshow enhance visual effect and exquisite display.